Chevrolet unveiled a very special treat at the 2019 North American International Auto Show in January. In celebration of the Silverado’s appearance in “The Lego Movie 2: The Second Part,” which hit theaters in February, Chevy built the first ever full-size LEGO® Chevrolet Silverado. The LEGO® Silverado, which is an exact copy of the 2019 Silverado 1500 LT Trail Boss, was built in partnership with students from the FIRST LEGO® League from the Oxford Community School and the World in Motion Program from Ralph Waldo Emerson Elementary. The project took 2,000 hours, 334,544 LEGO® pieces, and the work of eighteen LEGO® Master Builders to complete, and even has working lights. It weighs 3,307 pounds and measures six feet high, 20 feet long, and 8 feet wide. Chevrolet has partnered with LEGO® since the 2017 release of The LEGO® Batman Movie for which Chevy built a life-size LEGO® Batmobile. The Batmobile was revealed at the 2017 NAIAS and was also made by builders from A World in Motion and the FIRST LEGO® League, along with students from Detroit’s Cody Rouge community. Chevrolet is proud to partner with the LEGO® movie series, which always incorporates themes of teamwork, determination, family, community, and creativity. To see the real Silverado up close and in person, stop into College Chevrolet Buick. The 2019 Chevrolet Silverado 1500 is completely redesigned and better than ever. This is big news and Chevrolet wants to share it with the world. That is why it has crafted an extensive Silverado marketing campaign that covers nearly every type of media. To begin, Chevrolet produces three new digital spots to showcase the versatility of the new Silverado. “A Little Bit Country, A Little Bit Rock ‘n Roll” shows how the Silverado can work with nearly every lifestyle. Next, the “Official Truck of Real People” shows how everyday people put the Silverado to work. Finally, “Tailgates” show the evolution of the Chevy truck over the last 100 years. You may have also caught a glimpse of the Silverado “breaking through” the packaging on 7.1 million Amazon packages. Amazon customers can also have their packages delivers straight to their Silverado through the Amazon Key In-Car Delivery program. If you love magazines, the Silverado got some great coverage on the front cover designs of some big names, including ESPN, GQ, Motor Trend, Bon Appetit, Rolling Stone, US Weekly, Texas Monthly, Southern Living, and Sports Illustrated. If you’re looking for a capable, stylish, and powerful new pickup, the 2019 Chevrolet Silverado 1500 is up for grabs and ready to test-drive at College Chevrolet Buick. My name is Maara Puckett and I am a mother of 4 boys. I am one of the newer members of the College Chevrolet Buick family in Albion. Since 2011 I have groomed, trained, and been a handler in boarding and Day Cares for K9’s. I always assumed I would have a career based around dogs of all breeds. I have had a passion for animals since I was young. Test driving a truck at College Chevy, changed my life. In May of 2018, I saw a truck online located at College Chevy. I came in to look at it and immediately took it on a test drive. While doing my finance application and talking about food (I love food), the finance manager jokingly asked me if I wanted a job. I laughed and declined. When I realized that my seasonal work through Jackson County was coming to an end, I called College to ask if they were serious about the job offer, they said “Yes!”. While working at College Chevy, I found a passion that I didn’t even know I had. I not only got into the truck I wanted, but I also acquired a new extended family with all of my new teammates. They sold me a truck and made my overall experience an unforgettable one. Now they are stuck with me for good! We’d like to introduce you to Parker Votava one of the newest members of our team. Parker is a Service writer and has been working here at College Chevy for 2 months. Although he is new to the dealership, he is not new to the industry. He has been working in the car industry for 4 years. Parker is from Marshall, Michigan and went to Kellogg Community College in Battle Creek. Parker’s dream car is a 2016 Chevy SS. He loves the fact that the SS has the same features as a normal sedan, but has the power of a Camaro. Currently, he drives a 2013 Ford F-350 Platinum Edition, but his favorite car was his 2000 Chevy Silverado. He feels that the Chevy Silverado 3500HD Duramax best-matches his personality because he feels prepared for anything when he’s in a truck. He also says that he is a hard worker, just like the 3500HD. The worst car Parker has ever driven was a Mini Cooper. When not hard at work, you’ll find Parker working on small projects around the house and tinkering with his vehicles. He also enjoys playing golf and skateboarding. His favorite show right now is “Animal Kingdom” and his favorite show of all time is the British Car Review show called “Top Gear”. He is looking forward to football season so that he can cheer on his favorite team, the Green Bay Packers! So far, Parker is enjoying his time here as a part of the College Chevy team. His favorite part of the job is working with all of our great small town customers. He also really enjoys spending time with his co-workers. The next time you’re in for service, please say “Hey!” to one of our new team members, Parker Votava! If you love trucks and raw power, then you’ll love this recent announcement from Chevy: Chevy is unveiling the new 2019 Chevrolet Silverado 4500HD and 5500HD this year. In fact, we only have to wait one more month, as the new medium-duty work trucks will be revealed at the Work Truck Show in Indianapolis. The show will be held March 6th through 9th at the Indiana Convention Center. So what do we know about these trucks ahead of the show, aside from the fact that we cannot wait to get them on the lot here at College Chevrolet Buick GMC? Not much, but enough to keep us counting down the days. We do know that the Silverado 4500HD and 5500HD trucks will be available in both crew and regular cab configurations, and drivers will be able to opt for 2WD and 4WD in a wide array of wheelbases and GVWRs. We also know these commercial trucks will be motivated by Chevy’s famous, efficient, and powerful Duramax diesel engine, mated to an Allison transmission. The medium-duty Silverados will feature advanced tech, like OnStar 4G LTE, and judging by the teaser photos, we can also expect big, bright fog lights and turn signals integrated into the side mirrors. As for the rest of the details—well, we’ll know next month. 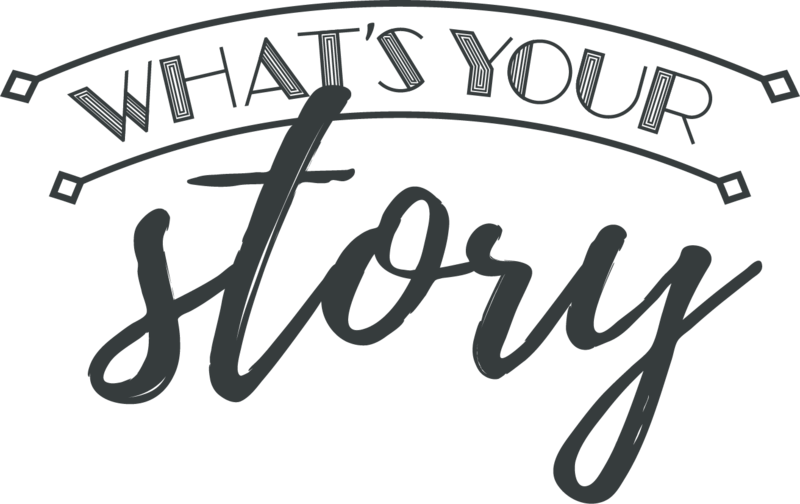 Jimmy Faust, What’s Your Story? This month, we’d like to introduce Jimmy Faust! Jimmy is a sales consultant here at the dealership and currently resides in Jackson. Although he has only been with us for a short time, he has worked with auto auctions as a buyer in the past. When not at work, you’ll find Jimmy hunting, fishing, and snowboarding. His favorite TV shows include Game of Thrones and The Big Bang Theory. He’s originally from New Orleans, so you’ll catch him cheering for the Saints during football season. We would love for you to stop by and meet one of our newest team members, Jimmy Faust! He would love to have the opportunity to help you find the perfect new car! There’s no pickup quite like the durable, bold Chevrolet Silverado. This truck manages to stick to traditional standards of strength and performance while adapting to the modern driver’s needs. So what are these new 2018 Chevy Silverado updates? College Chevrolet Buick has the latest word on the next model year. The next Chevy Silverado 1500 will maintain its steel body, its impressive powertrain lineup, and its unbeatable capability. Passengers will get some added luxury with the addition of OnStar and SiriusXM Satellite Radio in the Customer Convenience Package. In Work Truck models, the standard radio will be replaced with a Chevrolet MyLink 7-inch touch screen, and all trucks will now have a six-speaker sound system rather than a four-speaker one. The Rear Vision Camera becomes a new standard across all trim levels, too. The next Chevy Silverado 2500 and 3500 will also get new standard Rear Vision Cameras in every truck, as well as the updated 7-inch Chevy MyLink touch screen and the new six-speaker audio system. The Z71 package and the High Country trim level will both get a new black grille mesh. Two new exterior colors take the place of three old ones so buyers now have more, updated aesthetic choices when picking out the ideal work truck for their lifestyles. This month, we’d like to highlight Matthew Sullivan! He is a Parts Consultant here at College Chevrolet Buick and has been a part of our team since 2006. He has been working specifically in our parts department since 2013, so he really knows his stuff! Matthew is from Homer, but currently calls Albion his home. Matthew currently drives a 2002, but his favorite car of all time was his 1977 K5 Blazer. If he had to pick his favorite vehicle that we sell on our lot, it would be a 2017 Silverado 2500HD Duramax Diesel truck. He also believes that the Silverado matches his personality best. If Matthew could have any car in the world, he would choose a 1970 Chevrolet Chevelle SS. When not at work, you’ll find Matthew off-roading, watching Sprint Cup races, being a volunteer firefighter, or spending time with his family. He enjoys watching “Fast and Loud” and cheering on the Detroit Tigers. We invite you to stop by and say “Hi!” to Matthew! He would be happy to help answer any questions you may have regarding parts for your car, truck, or SUV! Drivers looking for a pickup are often searching for a vehicle that’s tough enough to get the job done. The Car and Driver 2017 Chevrolet Silverado Review shares that the Silverado doesn’t just offer powerful capabilities and durability. It also provides drivers with some of the best technologies and luxurious features in the automotive industry. Those in the world of automobiles are starting to take notice of the new Silverado’s amazing features and capabilities. Recently, Car and Driver published a review for the 2017 Chevrolet Silverado. During its assessment of the vehicle, they found plenty to love! First and foremost, the Chevy Silverado is a vehicle built to test the limits. With a 420-horsepower 6.2-liter V-8 engine, the Silverado is one of the most powerful vehicles on the road today. However, power isn’t everything, and Chevrolet understands that, which is why it equipped the 2017 Chevy Silverado with an impressive collection of technologies. Some of the amenities that Car and Driver took note of during its review were the option of Android Auto connectivity, as well as Chevrolet’s Teen Driver mode. 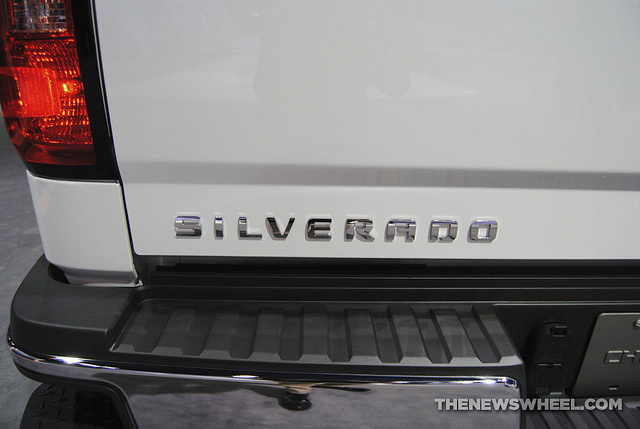 Overall, the publication was impressed with the refinement of the Silverado. If you too are ready to be impressed by everything that a powerful pickup can offer to you, stop by College Chevrolet Buick and discover the brand-new 2017 Chevrolet Silverado. Meet one of our newest sales consultants, Mike McCann! Although Mike may be new to the dealership, he’s been in the automotive aftermarket for over 30 years. Mike is a resident of Adrian, but he grew up in Tecumseh. He went to Sienna Heights and also attended Lourdes University in Sylvania, Ohio. Mike considers himself a “true car guy” who loves to tinker and restore old classic cars which makes sense because his dream car is any 70’s muscle car he can get his hands on. When not at work, you’ll find Mike playing Bass in one of two classic rock bands. He also enjoys riding ATVs with his son. You’ll also find Mike cheering on UM football and watching NASCAR on Sundays. His favorite TV show is “Shade Tree Mechanic” and he even got to help produce a few of the episodes! Currently, Mike drives a GMC Yukon XL Denali, but his favorite car he’s ever owned is a 1978 Pontiac Firebird TransAm. His favorite Chevy vehicle is the Silverado Duramax Diesel Crew Cab truck! Mike is a family man who has 4 grown children, one of which is a Freshman at Albion College! We invite you to stop by and say “Hi” to one of our newest team members, Mike! He’d love to show you around our lot here in Albion.